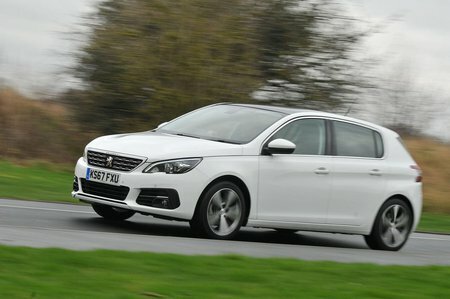 Peugeot 308 1.2 PureTech 130 Allure 5dr EAT8 2019 Review | What Car? What Car? will save you at least £1,780, but our approved dealers could save you even more. Going for Allure gets you larger 17in alloy wheels, front foglights, front and rear parking sensors, power folding mirrors and an electronic parking brake. Most of these are wants not needs, though, so we’d stick with Active. The 130 feels more urgent than the lower-powered 1.2-litre engine and it is available with a six-speed manual or seven-speed automatic gearbox. However, it has limited appeal, considering that the diesels are nearly as powerful and more efficient.